Reflections and musings on Delhi. 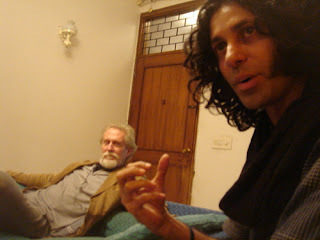 Veteran actors Zohra Segal and Tom Alter played leading roles in the play City of Djinns adapted from William Dalrymple’s book of the same name (subtitled A Year in Delhi). Segal played an Anglo-Indian lady while Alter portrayed Dalrymple. The play ran for ten days in April, 2007. Which passage hit you while reading the book? At one place the author referred to The Jewel in the Crown (television) series. I was there as Lady Lili Chatterjee. Your character lived with dogs and cats. How did you handle them? Thankfully, they existed only in dialogues. Aspects you like about Delhi? We lived at Dev Anand’s bungalow in Bombay during the 40s. But Delhi is better. I love the change of weather – wearing light clothes in summer, and snuggling into a razai in winter. Besides, Delhi’s vegetables are better than Bombay’s. In the 1920s we once visited the sculptors busy carving the stones where the Viceregal Lodge was being built. I never imagined I would later perform, along with Prithviraj Kapoor, in front of President Rajendra Prasad in that monument. You portrayed a foreigner who stayed for a year in Delhi. But haven’t you spent your youth here? Yes, I remember cycling to my girlfriend from Daryaganj to East Patel Nagar in thirty-minutes flat. I preferred the Delhi of the 60s. Has the city transformed since the book’s publication in 1993? The change is equivalent to the preceding 170 years. Unlike Dalrymple, you no longer have to struggle for a telephone connection. The book captured that shifting moment. What most affected you during its reading? The part where the author meets a Sikh man whose two sons were killed in the ‘84 riots. I myself had lost sardar friends. 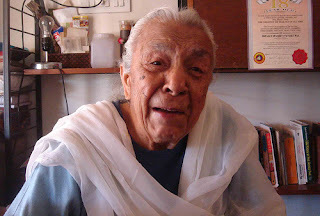 Then there was Mrs Puri, Dalrymple’s landlord and a partition refugee. My father was from Sialkot. I know what it was like. nice, but what were we thinking? Hail Brevity?